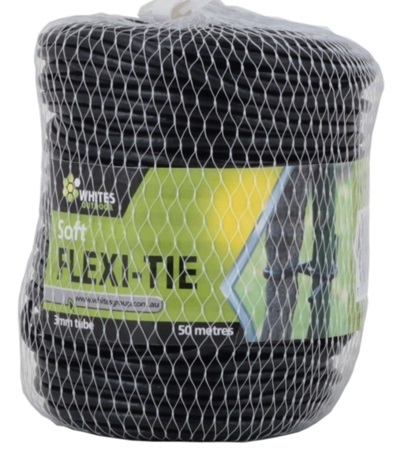 I recently bought a 50m roll of “Soft Flexi Plant Tie” from Bunnings. 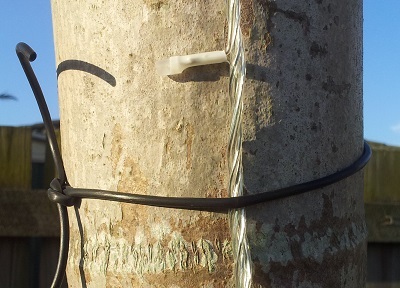 Very handy for securing lights and cables to trees on a short term (seasonal) basis without damage. Quite cheap at under $7 for the 50m roll. 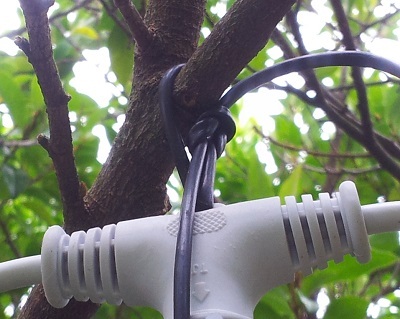 Here it is used to hang the meteor tubes in one of my trees. Easy enough to cut off (or untie for re-use) when the season is over. Also good for attaching LED strings to palm trees. Flexible enough not to dig into the trunk, but still holds in place.